It's Ready, it's right or it's free! Looking for a good dry cleaner? Our mission is to WOW you every time you come in with our knowledgeable, friendly customer service and high quality work. We can help with almost anything you need cleaned. Same day service is available 6 days a week and we're open on Sundays for added convenience. We open every day at 6:30AM and close at 7pm. Sundays 10am to 5pm. Stop by and see why thousands of area residents vote us their favorite cleaner year after year. We are family owned and operated. Quality and customer service are important to us and as a result we've been voted the #1 dry cleaner in the area for 14 years in a row. All work is processed on site using state of the art equipment and environmentally friendly systems. As a full service dry cleaner we offer many services from on site tailoring to free pick up and delivery. 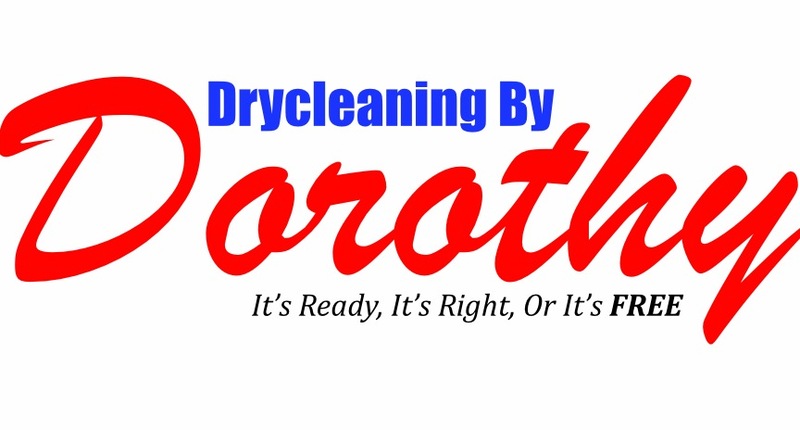 Frank and Dorothy Ward opened Drycleaning by Dorothy in 1953. The Devaney family purchased the business in 1976 and have been going strong ever since. We are constantly adding new services to simply offer you the best garment care option available.